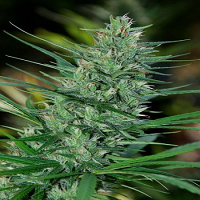 CBD version of our black widow is the result of crossing our best clone with high percentage of plants with CBD. 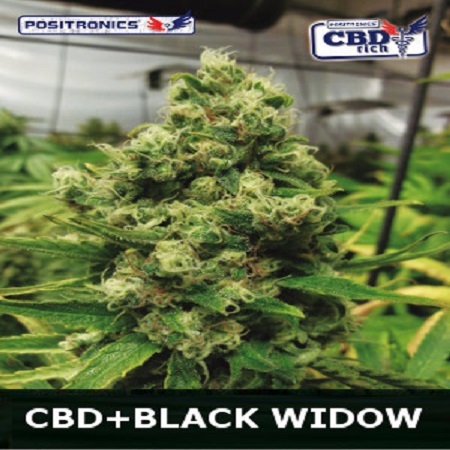 CBD Black Widow Feminized Cannabis Seeds by Positronics Seeds: CBD version of our black widow is the result of crossing our best clone with high percentage of plants with CBD. 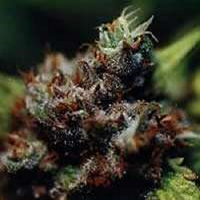 The cross produces fast, strong but not very tall plants, ideal for medicinal purposes and as an analgesic, fruity taste. 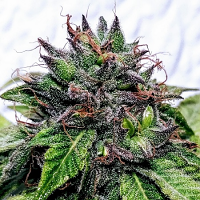 Renewal and bold reproduction from a strain rediscovered by CBD crew, hybridized with one of our more homogeneous strains with high THC content presents a moderate growth with defined structure indicated specimen, thick stems and broad leaflets. Displays average internodal distance, so much the indoor cultivation is simplified. AROMA: honey maintains its background = earthy, while it is true that softens your bouquet by combining the two strains taste: moderate families like white with light notes fusion of more and less marked out to woods and spices effect: VOILA!!! Behold their main revolutionary virtue. Drunkenness produced is clearly weaker, barely noticeable compared to the effect caused by his ancestor, Black Widow, and against is characterized by physiological uppercase? 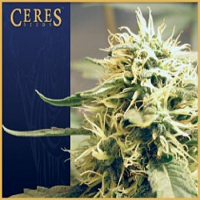 Soothing, calming for anxiety, pain mitigating effect, among other beneficial effects. 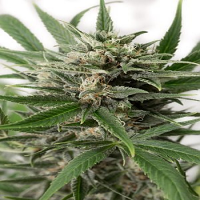 INDOOR: suggest slightly lengthen the growing season to maximize outdoor production: recommended pruning lower branches and interior unlit, so fattening and maturation seeking the maximum.